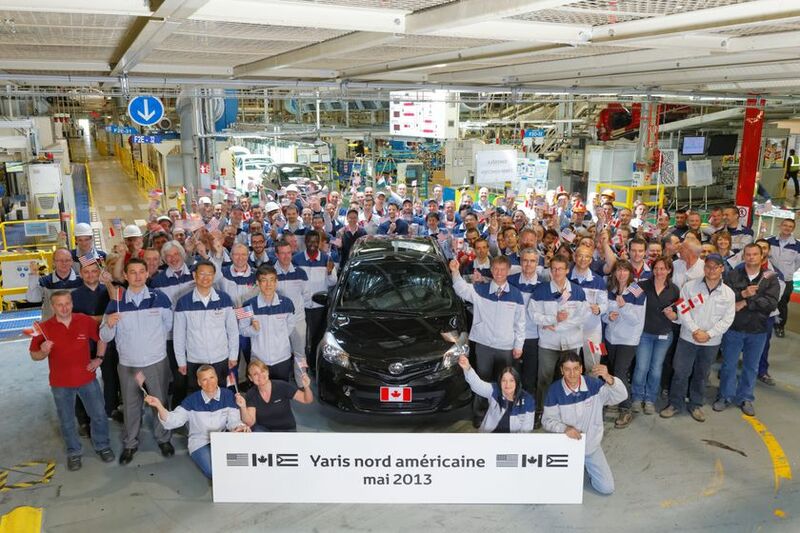 TORONTO, ON., (May 16, 2013) – Toyota Motor Manufacturing France (TMMF) today held an official ceremony to mark the start of production on May 6, 2013 of its successful Toyota Yaris compact car for export to the United States of America, Canada and Puerto Rico. 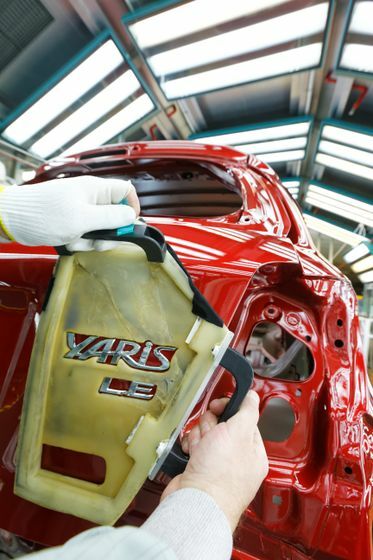 The model produced is the conventional gas Yaris and annual export volume will be around 25,000 units on a full-year basis. 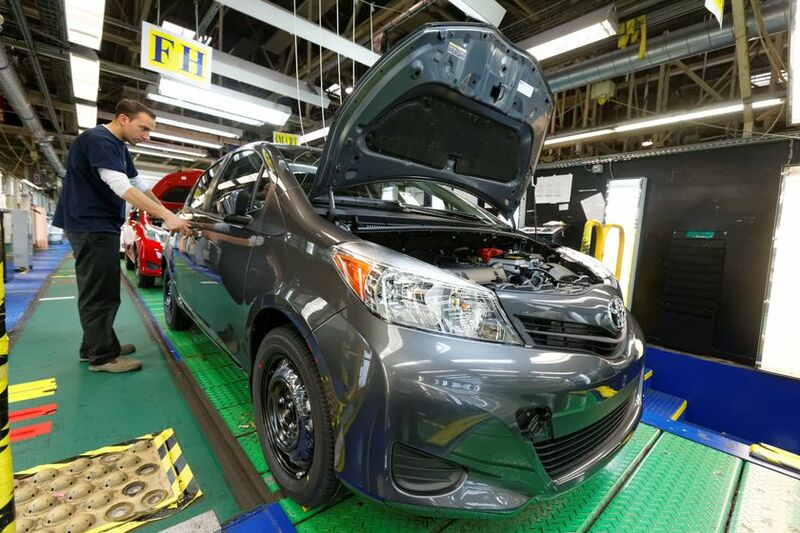 An additional EUR 10 million has been invested by TMMF to build the Yaris to the specific requirements of the new export market. 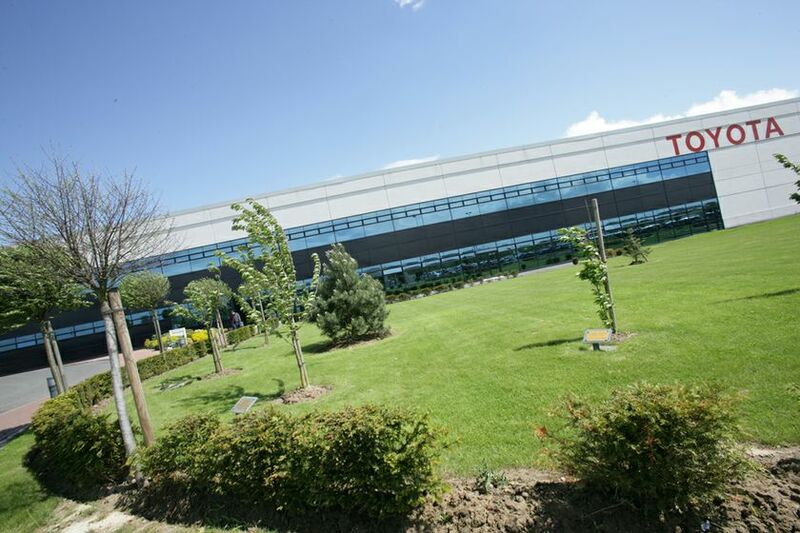 From the small Northern French town of Onnaing, near Valenciennes, TMMF will now export its vehicles to more than 40 countries, including destinations like South Africa, Egypt, Canada and the United States of America. 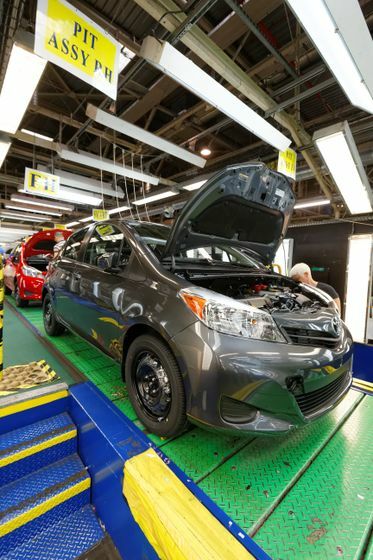 “With Quebec accounting for 65% of Yaris’ Canadian sales, a warm welcome will be assured for this ‘Made in France’ vehicle,” said Seiji Ichii, President and CEO of Toyota Canada Inc. 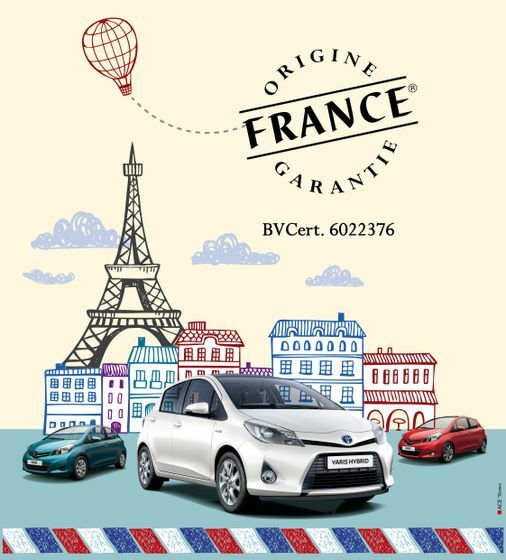 The Toyota Yaris became the first vehicle ever produced in France to be certified with the new “French Origin Guaranteed” (“Origine France Garantie”) label. This certificate was created in order to help customers identify products that have more than 50% of their value manufactured in France. On the occasion of the ceremony at TMMF, Yves Jégo, Member of the French Parliament as well as founder and president of the non-profit organization Pro France, in charge of promoting the brand “France” and the label “French Origin Guaranteed”, officially presented the certificate to TMMF. The current, third generation Toyota Yaris was launched in Europe in the summer of 2011, followed by the Toyota Yaris Hybrid in June 2012. In an overall declining B-segment, the Yaris model range grew 27% in 2012 compared to 2011, mainly supported by strong sales of the Yaris Hybrid. With sales of 182,841 vehicles, the Yaris model accounted for nearly 22% of Toyota’s total European sales in 2012.